The 21-year-old New Hampshire resident was busted Sunday on a criminal mischief charge by Londonderry Police Department officers. While being booked on the misdemeanor rap, Tulley put his best face forward when his mug shot was snapped. 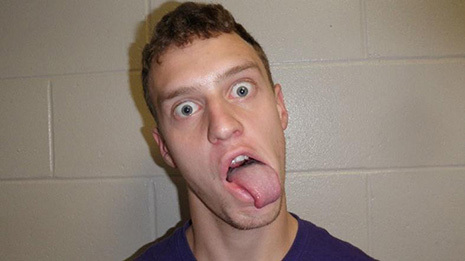 Now free on $1000 bail, Tulley and his tongue are next due in District Court on July 19.